Perfect for a city break, this charming contemporary town house for 4 has 2 private double bedrooms, both with en-suites. With an allocated parking space for one car and just a 5 minute level walk to the city centre, this pretty city property has a great layout and easy access to historic hot spots, fun shopping trips and dining out. A Georgian gem, re-imagined with contemporary flair and dramatic flourishes. This handsome apartment for 2 in central Bath is a rare find, being close to city life and yet set in a tranquil location with the sound of bubbling water over the nearby Pulteney Weir. The train station is a 10 minute level walk. 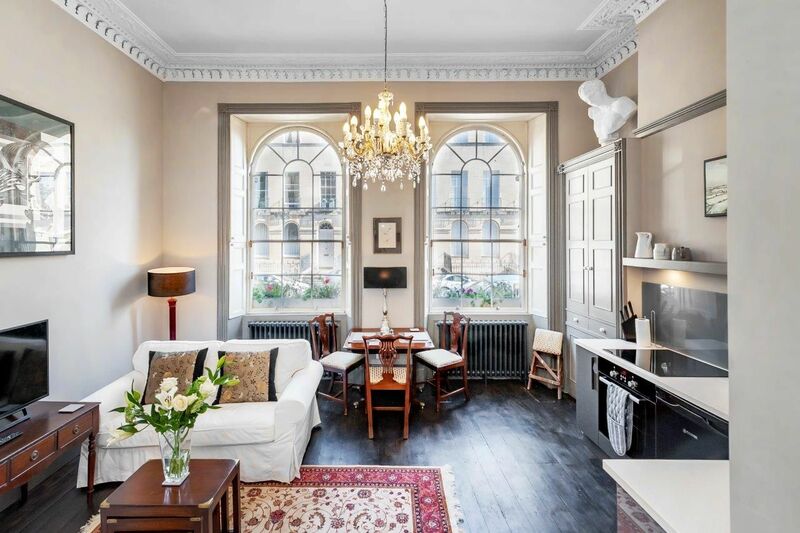 This fun 4-storey Georgian townhouse for 15-19 in central Bath has an inspired approach to open plan living. With a light, open and airy ground floor that can expand out into a seated courtyard and annexe beyond, it provides a really large, flexible and stylish space for groups and families planning an exciting get-together. Easy to locate on a main road leading into the City and just 5 minutes from Bath’s shops, restaurants and historic sites, this cheerful house has a youthful vibe and contemporary styling throughout. This handsome period property with great views has soft grey modern interiors and pops of colour on original artwork, throughout the house. Ideal for big groups, there is a shower room or bathroom on every floor, 3 living areas to choose from and 6 flexible bedrooms in pale grey with fresh white bedding, all equipped with large mirrors, hairdryers and hair straighteners. Please note the property is being refurbished in January 2019 so the description of the property reflects the changes which will be made as opposed to the visuals. 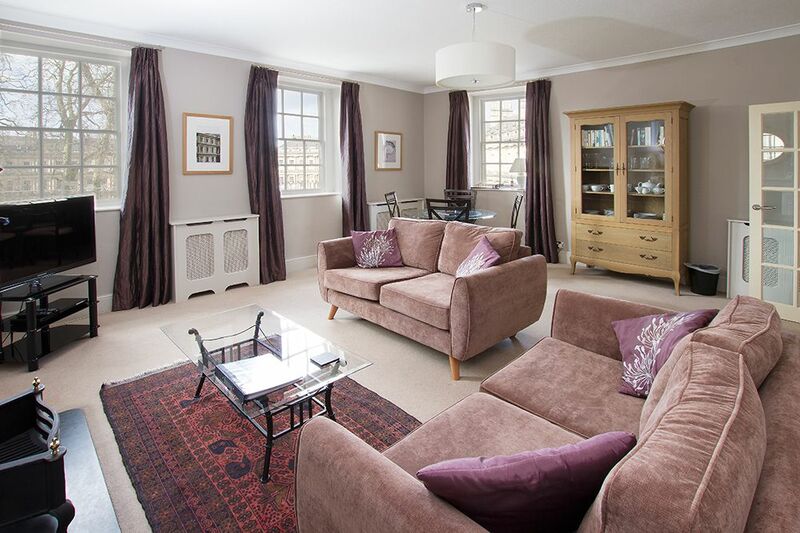 Located in an idyllic location in the city centre alongside the River Avon in Bath, this large comfortable Georgian apartment has a classic living area with a lively vista of shop fronts and roof-scapes, along with 2 quiet double bedrooms to the rear overlooking the river. A parking permit for 1 car is available and the train station is a level 10 minute walk. 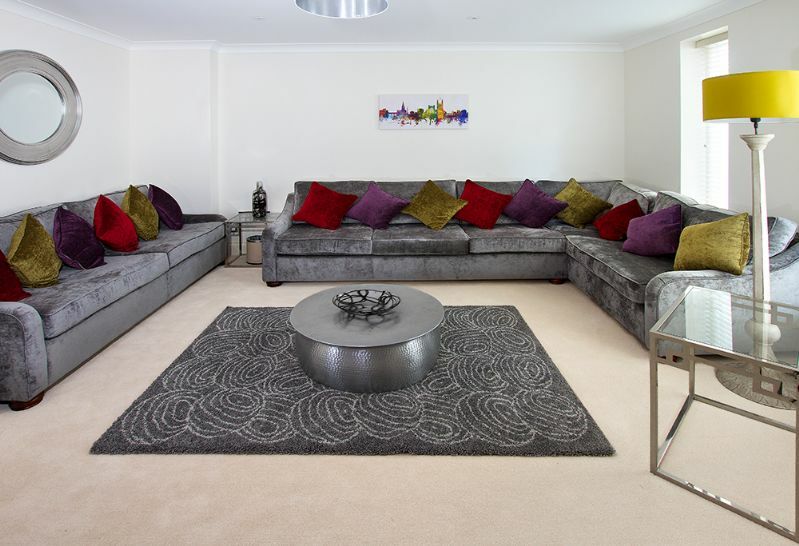 This contemporary mews house for 4 in central Bath will put a little colour and sparkle into your day. There are two large smart double bedrooms and 2 bathrooms along with a parking bay for 1 car (or 2 small cars at a squeeze) outside the property for complete ease of use. Add to this a quick 5 minute level walk to the city centre via one of the most handsome streets in Bath, and you have the makings of an effortless holiday in a beautiful, historic English city. Bath is a photographer's dream. There is dramatic beauty in the grand and elegant curved stone facades and this second floor apartment for four, in an imposing Georgian house at the end of a circular segment of The Circus, has timeless views. Awarded 4 star gold by Visit England. With ample proportions, warmth, personality and pizzazz, this brand new Georgian style town house for 11 close to the City Centre, is your new best friend in Bath. 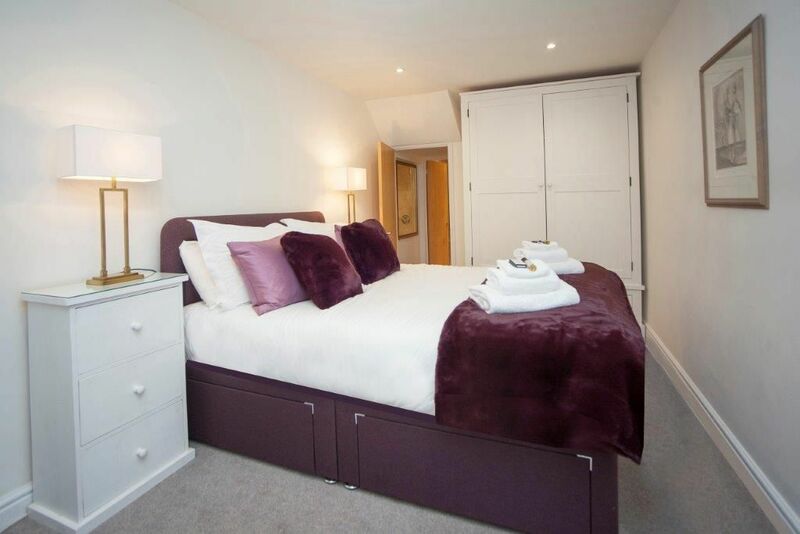 There are 4 attractive bedrooms and 3 generous bathrooms spread over 4 floors with underfloor heating throughout. It’s a big sociable house, well made with warmth and style where you can enjoy good company in large living, kitchen and dining areas. Situated on the western approach to the city, close to Royal Victoria Park, it is an easy 5-10 minute level walk to the centre, with famous historic sites, indulgent shopping and excellent entertainment. Bath Spa Railway station is either a 10 minute taxi ride or 15 minute walk. Bath looks so romantic from this beautiful 2 bedroom apartment for 3 with cinematic views of the city, you’ll be spellbound. Close to the city centre and surrounded by fine architecture, this luxurious apartment has wonderful Georgian features and fine dramatic style. With handsome fireplaces in every room, wonderful high ceilings embellished with elaborate cornices and crystal chandeliers, thick velvety carpets, granite, oak and stone surfaces in the kitchen and bathrooms, and huge original sash windows with working shutters looking out over Bath, you can enjoy the city in great style. A very chic top-floor 1 bedroom apartment, furnished in style, reminiscent of a private gentleman's club. It has great in-house entertainment, stunning views over Victoria Park, excellent kitchen facilities and is comfortable and smart through-out.